Salesforce Service Cloud helps organizations efficient their customer service by improving customer service quality and drive better user experience while significantly cutting down costs. Leveraging Service Cloud, customer service teams can close cases faster with AI & automation, provide fast and intelligent self-service, personalize customer care and predict needs to keep the conversation flowing. Service Cloud features allow customer service teams to support their customers or prospects in real-time using live chat tools while the customers are in the app or on the website. Below top Service Cloud features shows the rich functionalities and capabilities. This feature manages the entire case lifecycle including; case creation, prioritization, assignment, escalation, reassignment, and closure. Users can specify parameters to influence any of the stages and Service Cloud will perform them automatically. You can arrange cases as per their priority levels and assign them to appropriate agents, so Service Cloud analyzes this info and perform the relevant assignment mechanism. This feature helps customer support teams deliver smarter service by communicating with their customers through various touch points such as web, email, phone, social media, Live Agent chats, community sites etc. to gather all the cases and intelligently routes them to the relevant agents to instigate a quick action. Service Cloud offers a complete knowledge base (an online library of administration and support data) for service agents so that they can discover the right answer whenever required in order to deal with cases efficiently and close them quickly. The Lightning Service Console offers service agents a comprehensive view of each case including a 360-degree view of the customer. This helps them resolving cases quickly without switching multiple tabs and getting all the required information at their fingertips in a very convenient way. Service agents can customize and automate customer service or approval process with a simple drag-and-drop facility using Workflow. This feature allows the field service team to offer faster, smarter, and personalized services using smart mobile devices with Service Cloud. Field service team can access account info in order to resolve customer problems by creating a work order for a case. Service team can schedule field agent's appointments, manage their schedules, and track their material consumption all in real-time. Service Wave analytics turn insights into action. This app brings the power of wave analytics into the Salesforce Service Cloud. Service managers can quickly check on case management, agent efficiency, and channel optimization using any device from anywhere. Customer support teams use this tool to manage cases on various social media channels such as Facebook, Twitter, YouTube, Instagram etc. Linked with Omnichannel routing, this feature is helpful for various specific industries. Service Cloud empowers creating self-service communities. The communities allow customers a place to find the answers required from anywhere at any time. This enables the service agents to resolve customer issues quickly and the customer’s tools for greater engagement. Salesforce Einstein helps in customer chat automation in order to save time and effort. Einstein Analytics is helping service teams answer common questions like order status, flight details, pricing details etc. Wherever customers need detailed answers, Einstein bots will transfer the customers to the relevant service agents. CEPTES offers end-to-end Salesforce Service Cloud solutions ranging from implementation, consulting, migration, support, and enhancement. Our Salesforce certified Service Cloud consultants are experts in optimizing customer support processes and we are one of the pioneers in offering Salesforce Service Cloud implementation services to business of every size and nature. Using CEPTES offered Service Cloud solutions, service agents can close deals faster, offer intelligent self-service, personalize customer care and predict needs, and drive service productivity from the call center to the field. CEPTES is a specialist in Sales Cloud implementation. Whether you need to implement Service Cloud from scratch or looking to customize your current solution, our Service Cloud experts can help you in every phrase. In order to ensure your Service Cloud implementation meets your customer service goals, we offer required configuration, customization, and integration. We offer Service Cloud integration services with email, CTI, other Salesforce Clouds (Sales, Marketing, Community), ERP, Magento, ServiceNow and so on. We are a Salesforce integration specialist and successfully delivered 70+ integrations globally. We offer Service Cloud consultation services and work with internal stakeholders to meet future business goals, followed by a comprehensive set of business requirements. Our certified Service Cloud consultants can help you identify integration requirements and implementation roadmap. 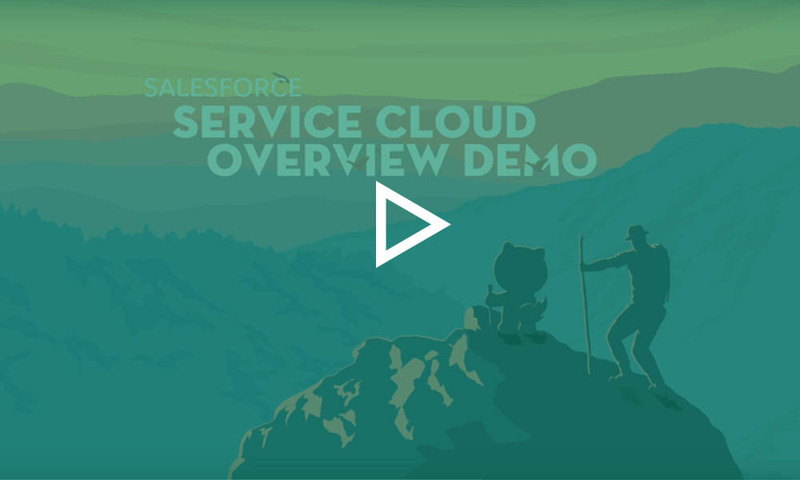 Our Service Cloud experts can help you migrate from your customer service tool to Salesforce Service Cloud in order to offer efficient customer service. This migration could include transferring critical data, information etc. We ensure your migration process goes smooth without hampering the business process. We can also help you migrating from Service Cloud Classic to Lightning Service Cloud. CEPTES offers all types of Service Cloud Support including user training. If you are already using Service Cloud and requires maintenance services in order to run an uninterrupted business, we can help you in that. Our team of Service Cloud experts can also assist you in doing necessary enhancements including bug fixing, feature enhancements, customizations, custom app development and much more.